List as many problems as you can. Be very realistic in your assessment of what can be a problem. People can be problems, too, if they choose to block change or aren’t getting their job done. Only work on the most impacting problem. Do not choose more than one problem even if it feels like several problems all need major attention. 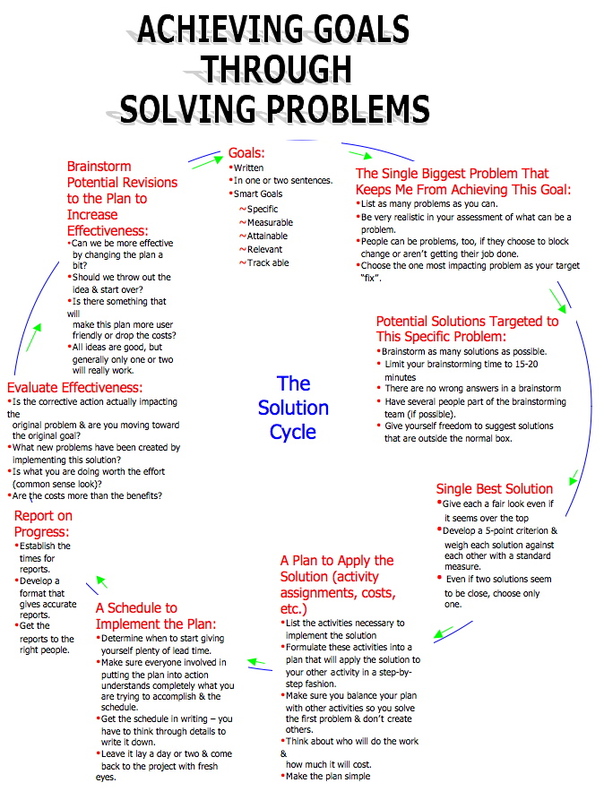 Brainstorm as many solutions as possible but make sure each solution targets the specific problem you identified as your “biggest” problem. Limit your brainstorming time to 10-15 minutes. There are no wrong answers in a brainstorm. Have several people be part of the brainstorming team. Give yourself freedom to suggest solutions that are outside the normal box. 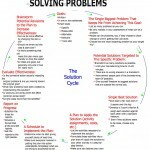 Develop 5-point criteria and weigh each solution against each other with a standard measure. Even if two solutions seem like they may work equally well, choose only one solution to implement. 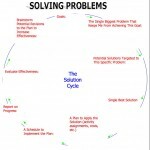 List the activities necessary to implement this specific solution. Organize the activities into a step-by-step strategy. Make sure you balance your plan with other activities so that you solve the first problem and don’t create others. Think about who will do the work and how much it will cost. Make the plan simple. Determine when to start – give yourself plenty of lead time. Make sure everyone involved completely understands what you are trying to accomplish and the schedule. Get the schedule in writing – you have to think through details to write it down. Leave it lay a day or two and come back to the project with fresh eyes. Establish the times for reports. Develop a format that gives accurate reports. Get the reports to the right people. 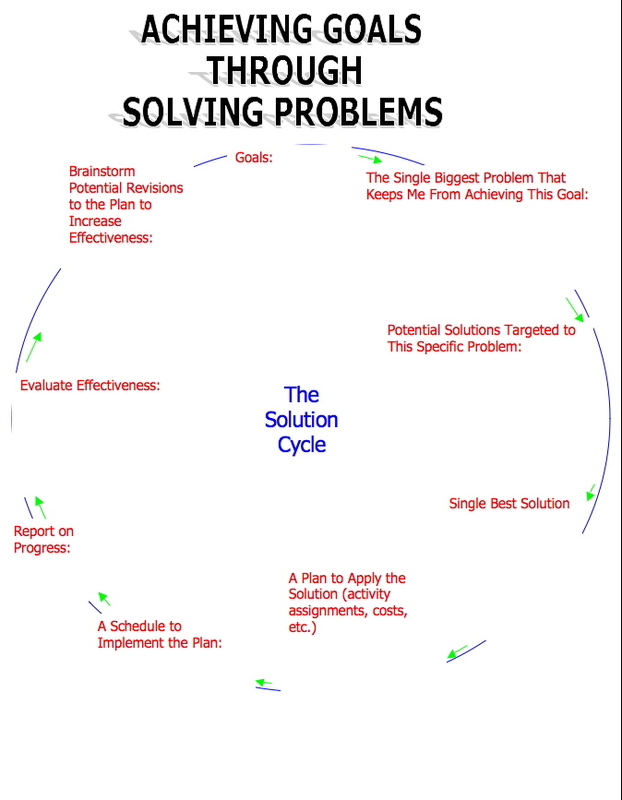 Is the corrective action actually impacting the original problem and are you moving toward the original goal? What new problems have been created by implementing this solution? Is what you are doing worth the effort (common sense look)? Are the costs more than the benefits? Can we be more effective by changing the plan a bit? Should we throw out the idea and start over? Is there something that will make this plan more user-friendly or reduce the costs? All ideas are good, but generally only one or two will really work.